Students enjoy the Missouri S&T campus. To find top engineering talent in the Show-Me State, all one needs to do is look around. With institutions like the Missouri University of Science and Technology in Rolla, turning out 2,525 graduates a year — 84 percent of which are engineering graduates — there's a veritable army of engineering talent in the state. Missouri S&T consistently earns accolades and high-marks among the top schools in the state. USA Today ranked Missouri S&T as No. 3 in the top 10 schools in the US for an engineering degree — placing it among the top 1 percent of universities in the country that offer the degree. College Factual has also rated the school as a top choice for veterans and gave it a "great price" rating. The university is focused on four signature research areas: advanced manufacturing, advanced materials for sustainable infrastructure, enabling materials for extreme environments and smart living. Innovation and entrepreneurship are key goals at the university. A variety of programs, including the Student Business Incubator Program, support students as they pursue innovative ideas and their own small businesses. Robert Schwartz, professor of Materials Science and Engineering and economics, notes the school's strong emphasis on STEM disciplines distinguishes the university from others around the state. "We are among a handful of STEM-focused institutions in the nation, and that emphasis provides opportunities to serve Missouri and Missourians with innovative, technology-focused approaches to solve some of our most critical issues, from infrastructure and advanced manufacturing to energy and environmental sustainability," he says. In order to help meet the workforce needs of the future, the university created a Corporate Relations office, which partners with employers throughout the state to facilitate recruitment of the university's graduates, while also promoting research and educational offerings. The university also hosts one the largest career fairs in the Midwest. The career fair in the fall of 2017 brought 307 employers from around the world to the campus, with 122 of those being companies from Missouri and more than 2,500 students and alumni. John Eash, executive director of the corporate relations office, notes the office serves primarily to help connect industry with the university and to strengthen those partnerships. "The office has helped Missouri employers hire talented students, conduct research to advance their technical expertise and educate their employees through world class degree and non-degree programs. We have increased existing company relationships and engagement on campus and have connected new companies with student recruitment, research and distance education opportunities. 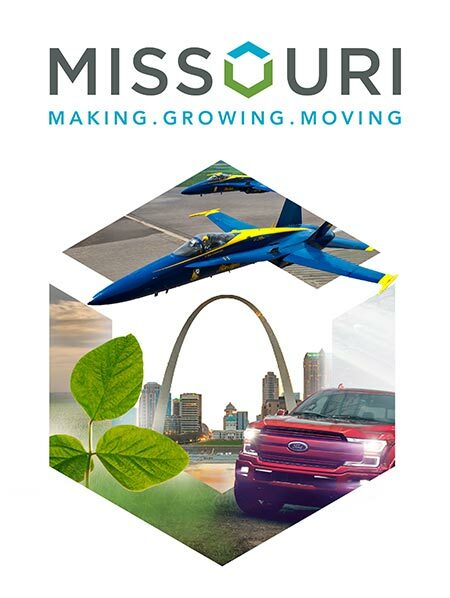 We have also made it easier for companies to do businesses with Missouri S&T." One of the university's long-standing partners is The Boeing Company, whose relationship stretches back to the 1960s. Missouri S&T is one of two universities that provide the company's engineering employees with state-of-the-art graduate education program in systems engineering. The program started 13 years ago and has since seen 376 Boeing employees to receive an M.S. degree from Missouri S&T. The program is also open to non-Boeing engineers and currently has more than 20 other companies participating in its systems engineering programs. More than 2,600 Missouri S&T graduates have been employed by the aerospace company over the years. "Missouri S&T's focus on STEM education means that we are preparing many of the knowledge workers that our state will depend on for future economic success," says Schwartz. "Missouri S&T is preparing our state's future scientists, engineers and tech-savvy business leaders and communicators in fields like information technology, computing, bioengineering, business and technical communication."